US Army Spc. 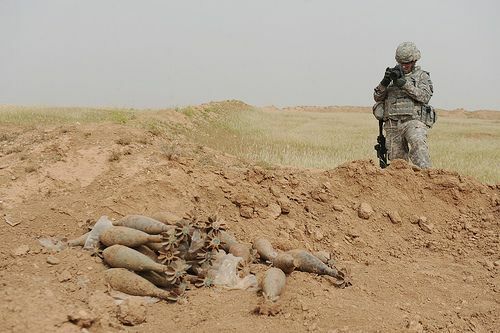 Joel LeMaistre, a Soldier assigned to Joint Combat Camera-Iraq, documents video footage of a weapons cache discovered near K-3, Iraq, on April 13. Photo via the US Army.